Reversible Work and Play Mat. Personal size mats, 100 percent polypropylene. Smaller version of Faulkner mats to keep you from getting dirty when gardening, at the beach, working on your vehicle. Two straps keep the Work and Play Mat rolled up when not in use. 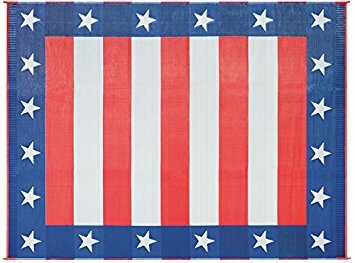 49601 is a 36 inch x 68 inch Independence Day Work and Play Mat.